Recently there were a lot of updates and every update changed the game a little. 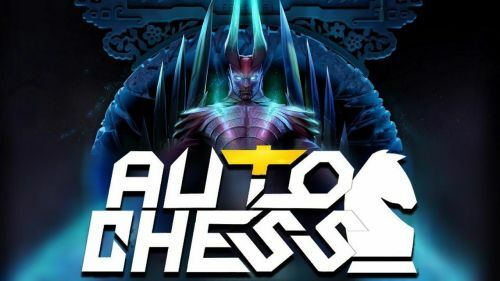 Just like Dota2, the Dota Auto Chess Mod changes meta with every new update. There's one good thing that you don't need to learn anything new, if you already know all the Hero-Class Combos then all you need to do is keep track of the updates and change your board according to the updates. There is a new feature added in the game that I want to mention first. There is now a flag/report button, you can now report rude players or someone who you think is cheating. Honestly, don't spam it just because it's there. Early termination button is added. During the first two-turn you can press the button and if more than half the players are disconnected or failed the game will end automatically. Another small change was made, now you can no longer give items to your heroes during the cheering stage, you will have to wait until the board is reset. Apparently, they stopped it because it was causing a glitch that was crashing the game for a lot of people. Few items went through rework and Blade mail is one of them. If you ask me the change is massive, the buff is massive but that's only because the return was actually very low. 10% was not that good and that's why the reward was not worth the hassle. But now Blade Mail returns 20% of the taken damage which is pretty good and it's now worth the hassle that you have to go through to make the item. IF you're LUCKY enough to get the proper drops. Madness mask is another item that went through the change and it is actually buffed and way better than what it used to be before. Before Madness Mask used to provide 10% life steal, +30 attack speed and -10% armor, now it provides 10% life-steal, +40 attack speed and it silences you. Why do I think this is better? Because, most of the heroes that can use Madness Mask to the maximum potential they need the armor more, the minus armor was making your Troll or Drow a lot weaker but now they have the life-steal, even increased attack speed and you don't lose armor. Troll, drow or most of the heroes that can use Madness Mask don't even have a spell so the silence should not bother you at all.